DESIGN INSPIRATION: "Something's Gotta Give"
I am a supporter of the faux fireplace mantle! A lot of small space dwellings don't have a fireplace or a working one and a faux gas fireplace and mantle is a fabulous addition to any small space. It creates a true focal point and can really anchor a room. 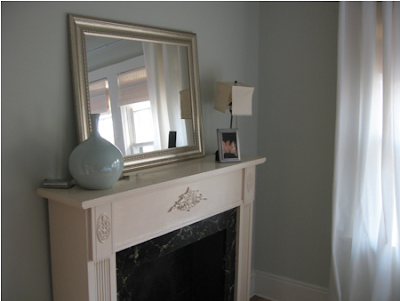 Plus it allows for extra heat and the mantle calls for a wonderful gallery space. Domino Magazine's before & after gallery featuring the addition of this faux mantle really creates the illusion of depth and sparks architectural interest in the space. I also love this post from Becoming Home and how happy this couple was by creating a faux fireplace in their bedroom. It anchored their floorplan and created ambiance. 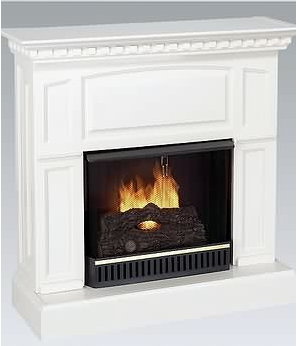 Also, check out sites where you can can buy your own faux fireplace for a reasonable price. Like this Heritage White Gel fireplace. 0 Responses to "CLEVER: Faux fireplace mantle"